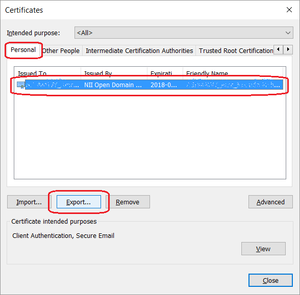 By exporting the electronic certificate installed in the WEB browser, you can import the same certificate into other applications or PCs and use it. Open the "Options" sub-menu from "Tools" menu or from the menu icon. 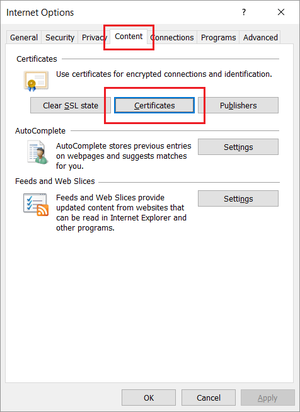 Choose the following sequence; "Privacy & Security" → "Certificates" → "View Certificates". 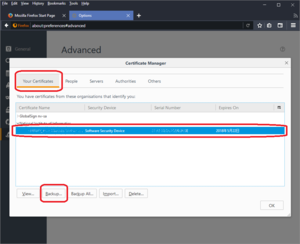 Select "Your certificates" tab to display a list of the client certificates installed. 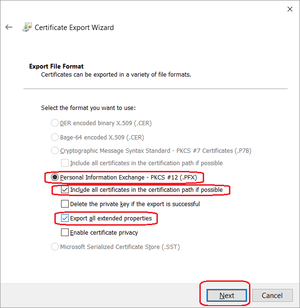 Select the certificate you want to export and click "Backup". 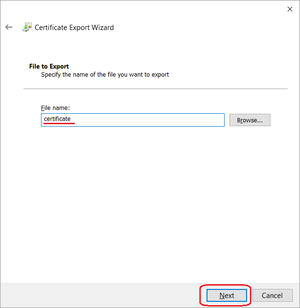 Choose where to save the certificate file and enter a name in the "file name" field. 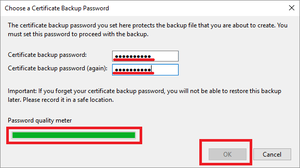 Enter a password to protect the file that will be saved (the exported file) and click "OK". Check the "Password quality meter" to make a password that is not easily broken. Also, remember this password, it will be needed whenever the certificate file will be imported again. 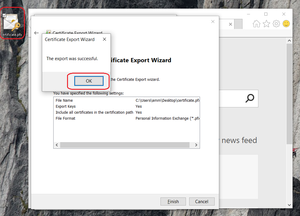 When the export is successfully finished, a notification will be displayed, click "OK". 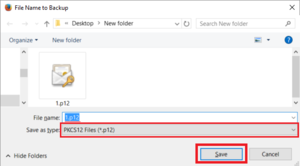 The file name chosen will be generated in the specified location, in the example, "1.p12" in "New folder"). Please make sure the exported file will not be accessed by others. Open "Internet Options" sub-menu from the "Tools" menu or tool icon. Select the "Content" tab and click "Certificates". 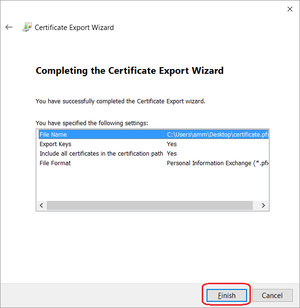 Choose the "Personal" tab, then select the certificate to export, and click "Export". 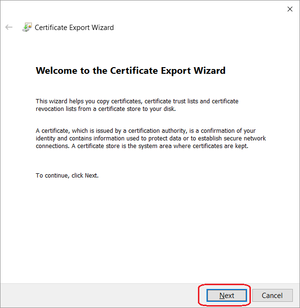 The Certificate Export Wizard will start, just click "Next". 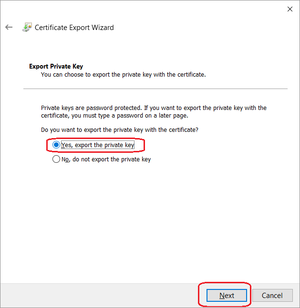 Choose "Yes, export the private key", then click "Next". 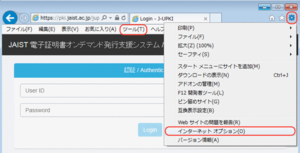 To protect the exported file, enter a new password and click "Next". Choose a passwords that would be hard to break. 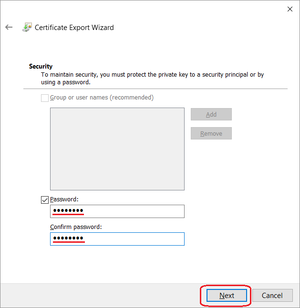 Also, remember this password because it is necessary when importing the certificate file again. 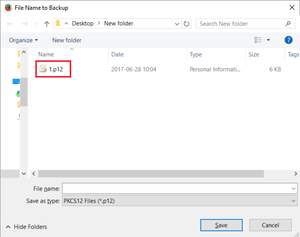 Enter a name for to the file to be saved in the "file name" field. By default, the storage location is the desktop. Be careful not to forget the saving destination. When the completing screen of the export wizard appears, click "Finish". The file would be saved in the specified or default location and export is completed.